Here are some of the ways I’ve used these tools in my math classroom. A few years ago during my formal observation by one of my assistant principals, she pointed out that using the interactive whiteboard was only engaging one student at a time. That’s when it occurred to me that I needed to find a different way to engage all learners at the same time. After some doing some research, Nearpod seemed to be the answer. I introduced a Nearpod whole group to my students and they blew me away. I assigned my students a 3D-shape lesson that used many of Nearpod’s tools. My students watched a video that introduced each shape. Then they used the drawing feature to identify the 3D shapes with real-world objects. After we identified shapes, students then used the collaboration feature. They were able to search within the tool for real world examples of each shape to share with the class. Students were excited and commenting on each other’s images. As a result of our discussion while using this tool, math became real and lived beyond the four walls of our classroom. Afterwards, students completed a quick quiz within the tool and it sent me the data immediately. This past year, I decided to implement a blended learning model during my math block. I created Nearpods for my students to complete independently during their technology station. I began flipping my math block by assigning self-paced Nearpod lessons. The lesson would begin with students watching a quick video explaining the math skill. I would have added audio to slides that would further teach the skill. Then students would complete a few practice problems using different Nearpod tools. After finishing this station, students then would meet me for small group instruction. I could look at their data quickly from the Nearpod and use it to guide my lesson and correct any misconceptions. During small group instruction, my students show their learning by using digital manipulative applications. My favorite application for math is SchoolKit Math because it houses almost any manipulative an elementary student would need. We have used many of the manipulatives, but the one that stands out most is when my students are able to create examples of time with clock hands and write the digital form beside their clock inside of the application. In addition to teaching time, learners have created different amounts of money using the coins in SchoolKit Math. They can erase their board quickly and we can move right on to the next amount of money. It makes for easy clean up and no loss of instruction time. Other applications such as Pieces Basic allow students to model their thinking and record their answers directly on the screen. After my students have become comfortable with the applications, they begin to share their learning. We use Seesaw The Learning Journal in my classroom to connect home to school and to give my students an audience for their learning. When students feel like they have mastered the new math skill, they screenshot the application and upload it into their Seesaw Journal. It’s amazing because they are able to voice record their thinking and how they modeled their problem before fully uploading the image. After it is uploaded, other students can comment on their work, as well as their parents. This has strengthened the connection between home and school. 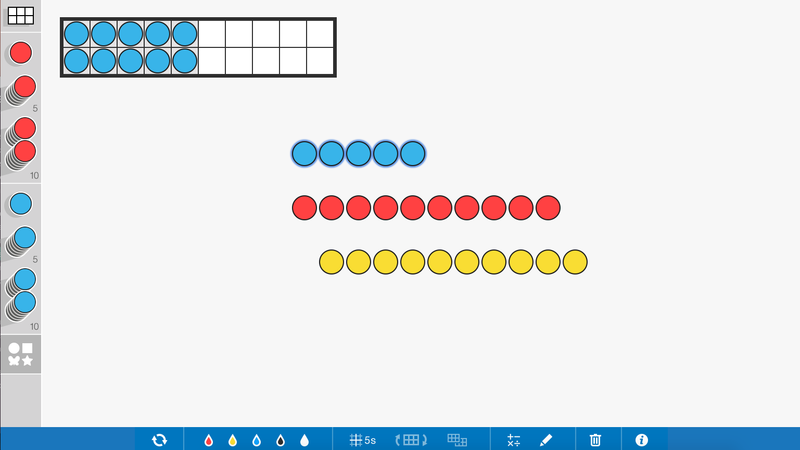 Experimenting with digital manipulatives and flipping my first-grade classroom has changed the way I teach. I urge teachers to take a chance with the amazing opportunities of the digital world. It’s that digital footprint we encourage our students to make that will give them the edge in their future endeavors. Choosing not to embrace, teach, and use technology is failing the ones we are pushing so hard to succeed—our students. This is a guest blog by Brittany Adcock. Brittany is a first grade teacher at Nash Elementary in Texarkana, Texas. She has taught for 11 years, with experience in teaching both first- and second-grade students. 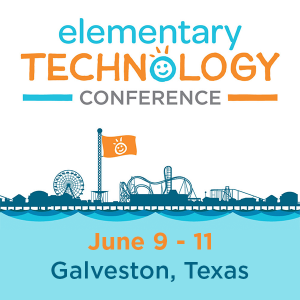 She has a passion for finding new technology to keep all first-grade students engaged in the learning process, as well as teaching her peers how to use technology effectively in the classroom.